The Central Bank of Libya has issued its initial response to criticism it received in the Audit Bureau’s 2017 Annual Report (Photo: Logo collage by Libya Herald). 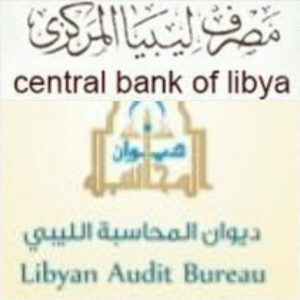 The Tripoli-based Central Bank of Libya (CBL) issued yesterday what it called its initial response to the heavy criticism it had received in the Audit Bureau’s 2017 Annual Report. The CBL said that the Audit Bureau’s Annual Report has become ‘‘a media occasion to display a unilateral point of view’’ beyond its legal remit instead of following its legal and professional path. It said that it was compiling its detailed response in a manner prescribed by the law, as it has done so annually. 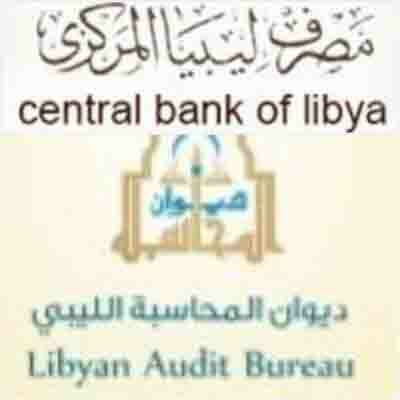 The CBL said that the 2017 Annual Report was compiled and published contrary to the law which prescribes that the report should be compiled as a result of a process of review and approval of the final CBL accounts which the Audit Bureau has not done since 2010. The Audit Bureau has also failed to do the same with the state final accounts since 2007, as well as other important institutions. This failure prevents the discovery of the real corruption state institutions are suffering as a result of the non-accountability of their leaders. This has contributed to the increase in the misuse of public funds. The CBL also noted what it referred to as the ignorance of the Audit Bureau of the legal requirement to refer the Annual Report to the legislative authority as it is the body, which after reviewing the report, is concerned with taking the needed and deterring measures against those proven to have committed any transgressions. It also said that the Audit Bureau had broken the approved review procedure by failing to refer its initial findings to the concerned entities to review and then incorporate those responses in its final report. This has resulted in the 2017 Annual Report being full of mistakes. The CBL called on the Audit Bureau to pursue effective and serious oversight of the corruption phenomenon, pointing out that the Annual Report indicates that 80 percent of 2017 public spending was subject to its oversight. In view of this, the CBL states that the Audit Bureau should have stopped the corruption as it discovered it at the time – rather than point out corruption on an annual basis – despite its prior oversight of this corruption. The CBL assured of its respect for state institutions and its continued efforts in fighting corruption. It also assured of its commitment to transparency and disclosure and the right to information, as per operating law. Finally, the CBL confirmed that it will, as it did last year, publish a detailed response on the sections in the 2017 Annual Report that concern it within 3 weeks from this statement.